ELK HORN was a post office established about 1882, in the midst of heavy Danish settlement of Audubon, Shelby and Cass counties. It was the location of the Danish Lutheran Evangelical College, founded in 1878, with O. Kirreberg as its first president. 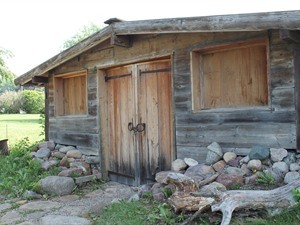 Elk Horn is the largest rural Danish settlement in the U.S. 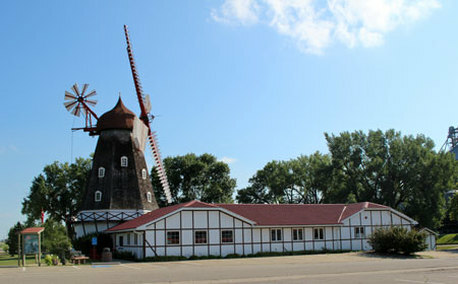 The Danish Windmill received Iowa's top tourism attraction in 1990 and 2008. The Museum or Danish America (formerly known as the Danish Immigrant Museum) received the same honor in 1994. The Danish Villages, like Denmark, are committed to using renewable and clean technologies to advance our economies and strengthen our education for generations to come. We are working closely with our schools, residents and businesses to build our rural community into a flourishing model for others to follow. Elk Horn is home to 59 businesses. The top two employers are MV Transportation, Inc. and Salem Lutheran Home. The city also has a veterinarian, pharmacist, lawyers, Medical Center, five restaurants, three Bed & Breakfasts, motel with indoor pool, locker, and other retail and service providers. There are three Bed & Breakfasts, a 31 room motel with indoor pool, 5 acre RV Park, swimming pool and park, and five dining establishments. There is also access to four (4) EV charging stations for electric vehicles. These are the only ones between Denver and Chicago. Authentic 1848 windmill built in Denmark and reassembled in Elk Horn. Video and tour of the working mill are available. Facility includes a Danish import shop and Iowa Welcome Tourism Center. The Danish Windmill received Iowa’s top tourism attraction. This complex also has a 1951 Danish Immigrants Chapel is the newest attraction to the Danish Windmill complex. Once dubbed the World's Tiniest Church. An International Cultural Center that tells the story of the journey and experience of the Danish immigrant from the decision to leave Denmark to establishing new homes, schools, and churches in America. You will see the first piano of the famous Danish immigrant Victor Borge, the tiny Morning Star Chapel, the Danish Immigrant Wall of Honor, and the Family History Center. 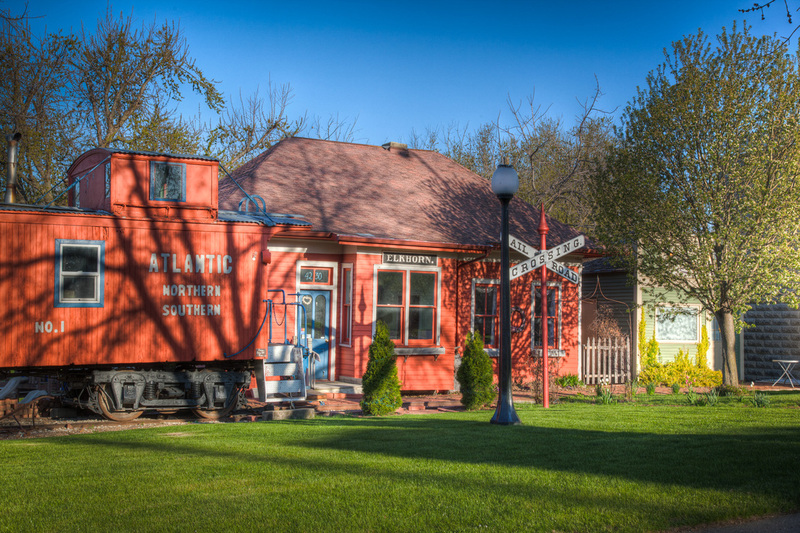 The Museum received Iowa’s top tourism attraction. 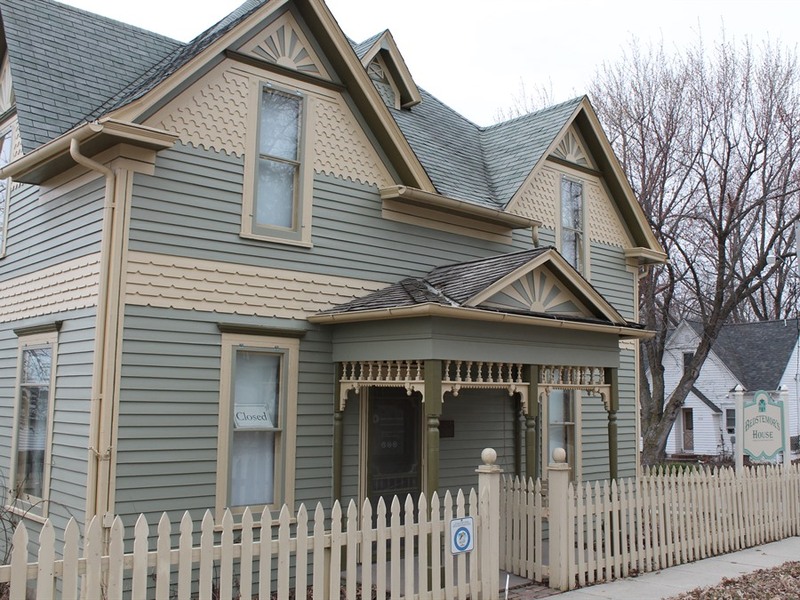 This beautifully restored and fully functioning historic Danish home was built by Danish immigrant Jens Otto Christensen in 1889. Bedstemor means grandmother in Danish. This charming, ethnic home welcomes visitors for tours throughout the summer. Elk Horn’s Danish Celebration is held every Memorial Day weekend. Enjoy Danish foods and specialties such as smorbrod, aebelskiver, and medisterpolse. Tours of the Danish Windmill, Danish Immigrant Museum, Bedstemor’s House and visits to unique gift shops add to the experience. There is a parade, Danish folk dancers, an entertainment stage, and much more. Fun-filled Christmas festival is held Thanksgiving weekend. Visit the unique gift shops, large Christmas Boutique, and more. Elk Horn has a beautiful City Park with a pool. Enjoy a picnic, playground and swimming. Try your hand at some putt-putt golf, play basketball, tennis or volleyball. There is fun for everyone!